If someone dies whilst travelling abroad,and has a valid insurance policy, the Deceased’s travel insurance provider will contact and pay for the services of a specialist company. They will attend to the practicalities involved in bringing the deceased back to the UK, so the funeral can take place close to home. The deceased’s passport is normally essential to this process and should be located as soon as possible and kept somewhere safe. If there is no valid insurance cover in place, the cost for the repatriation will need to be paid for by the deceased’s family. If this is the case please contact us and we will obtain estimates of the costs involved. In most circumstances, the deceased is returned home to the UK to our premises. 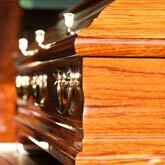 From that point, we liaise with the necessary authorities, including the local Coroner, to obtain permission to proceed with the funeral. The funeral arrangements can then be finalised in the normal way. The death certificate will be issued in the language of the country where your family member died. If you want us to, we can arrange for the death certificate to be translated from any language into English. We can also arrange for the repatriation of someone who has died locally, either to another country or another part of the UK. Please contact us, and we will advise you on the most appropriate arrangements and an estimated cost.